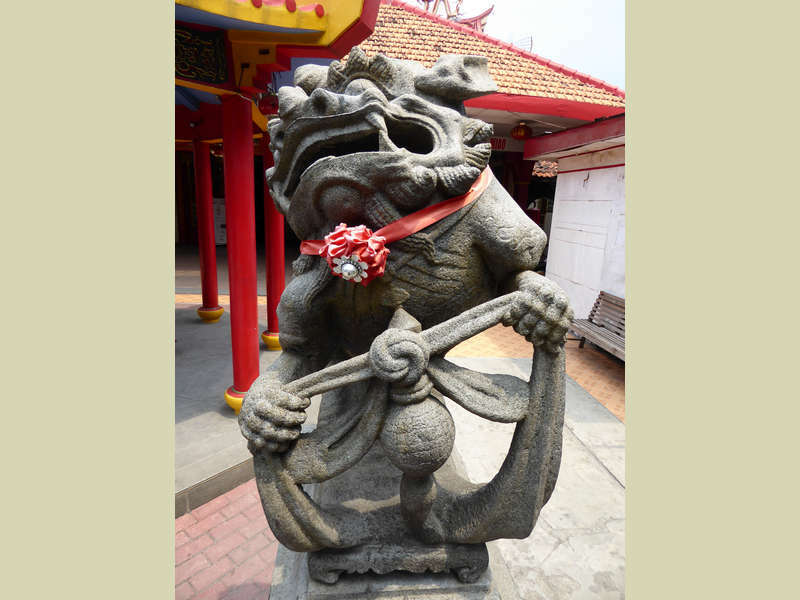 Despite historically being a Hindu-Buddhist country from around the 8th-15th centuries, Indonesia these days is predominantly Muslim, with only around 1% Buddhists. 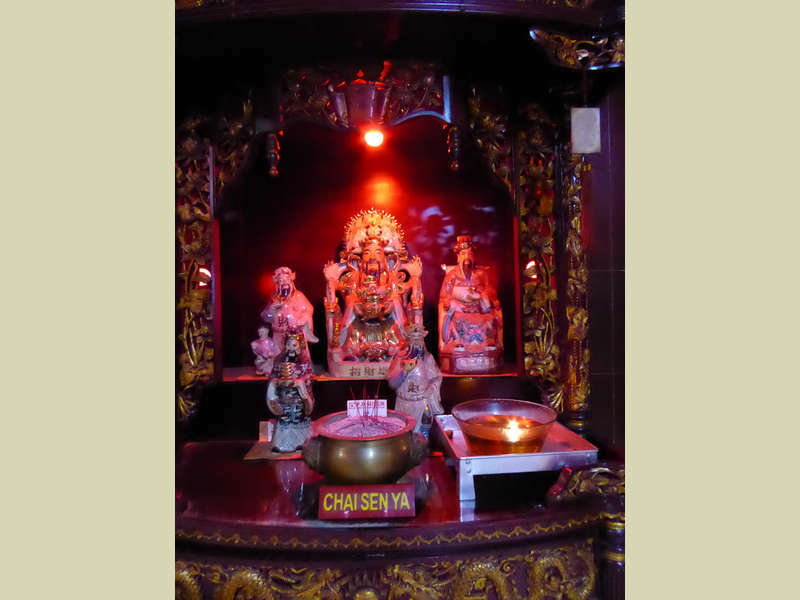 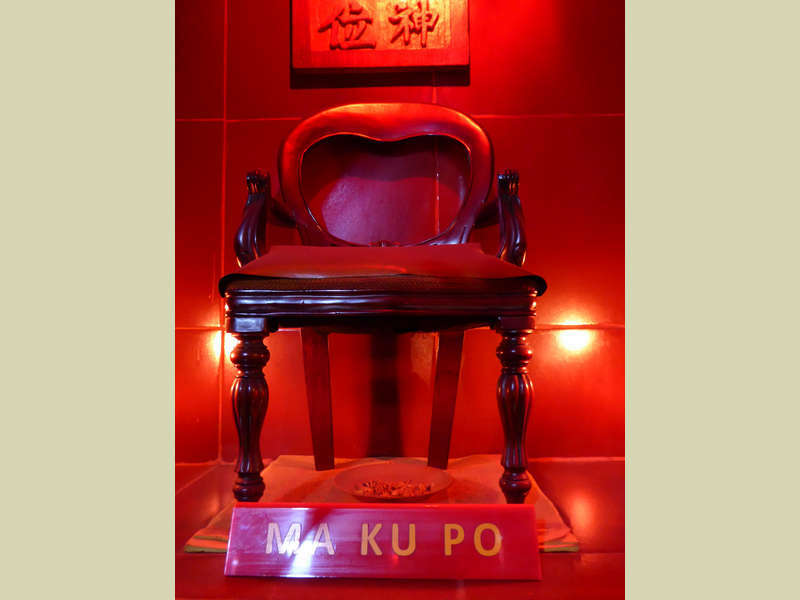 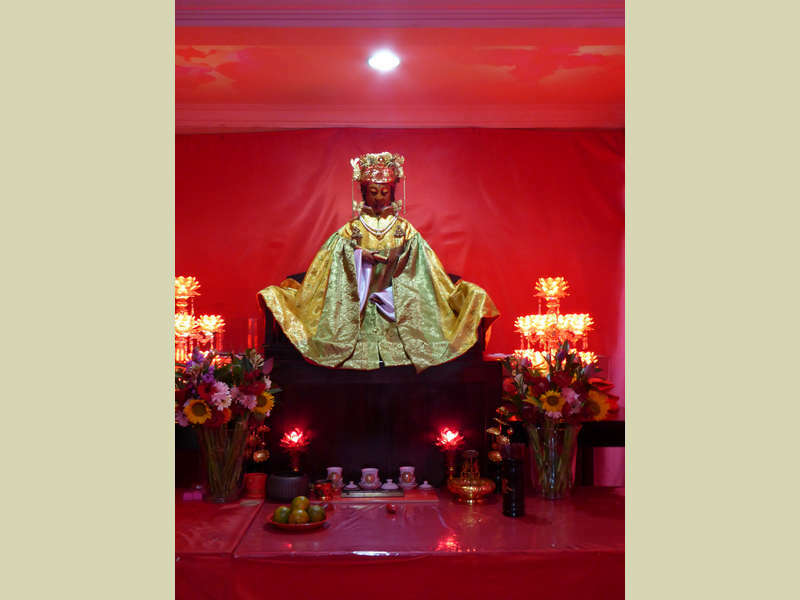 Of these the majority are originally from Chinese immigrant families, and follow Mahayana traditions, especially in the cities like Jakarta, though they are very assimilated. 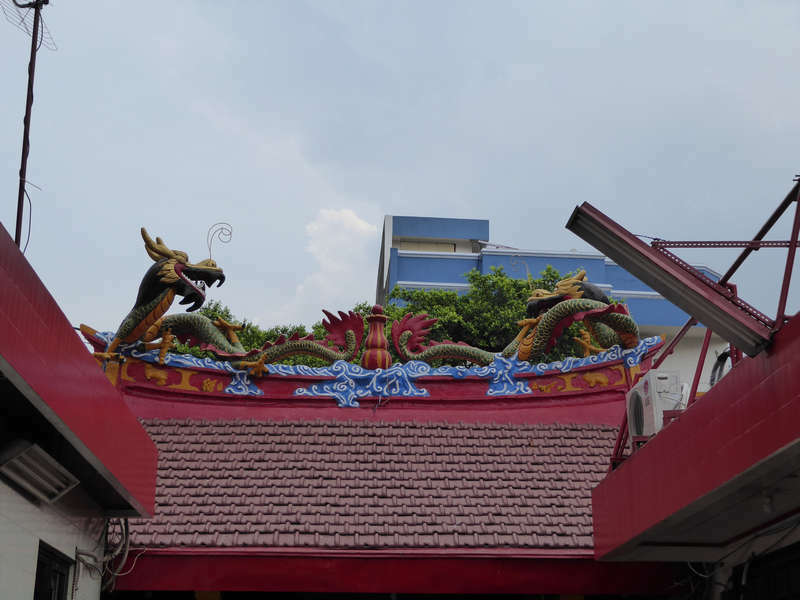 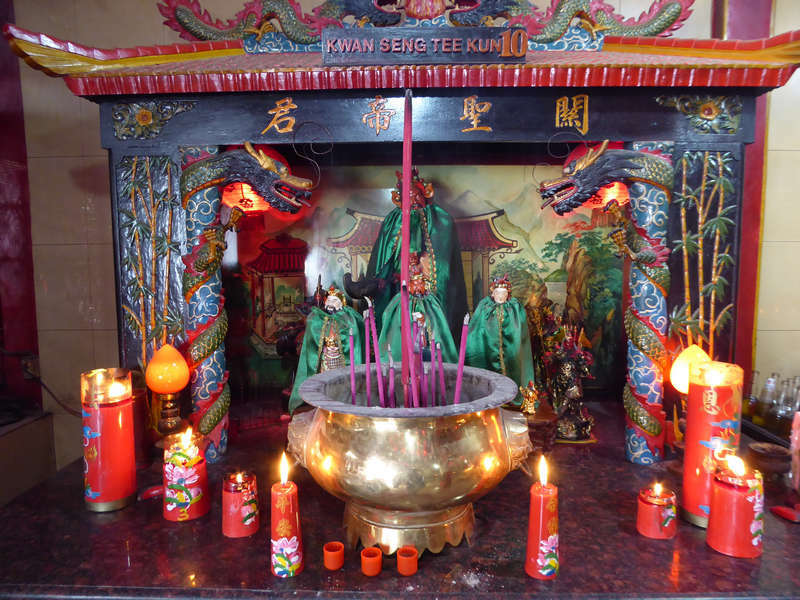 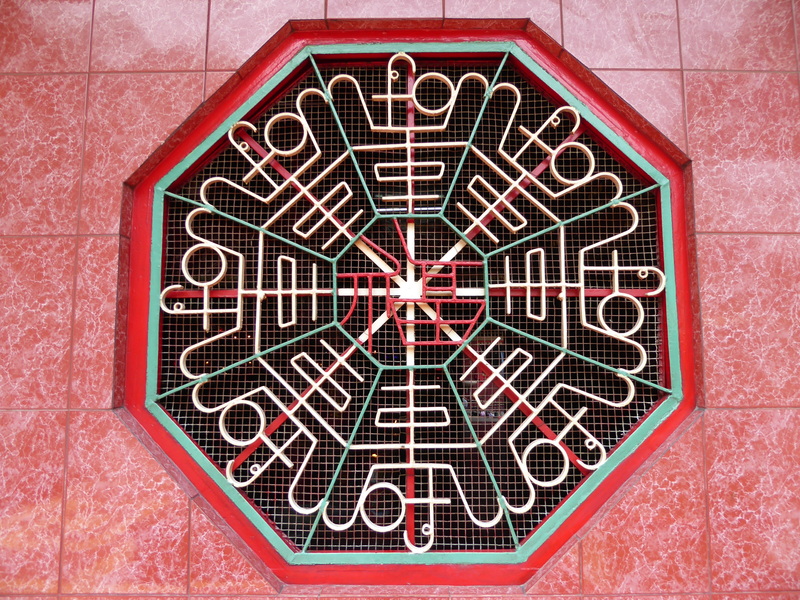 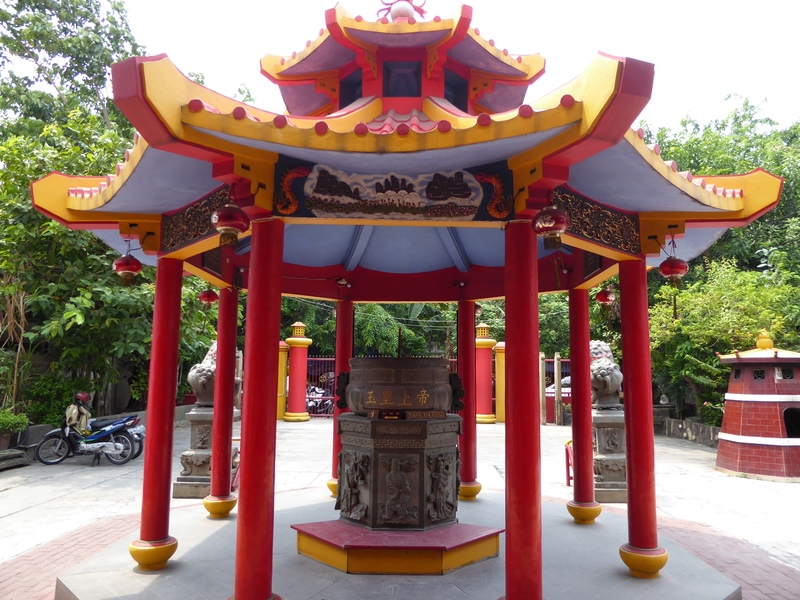 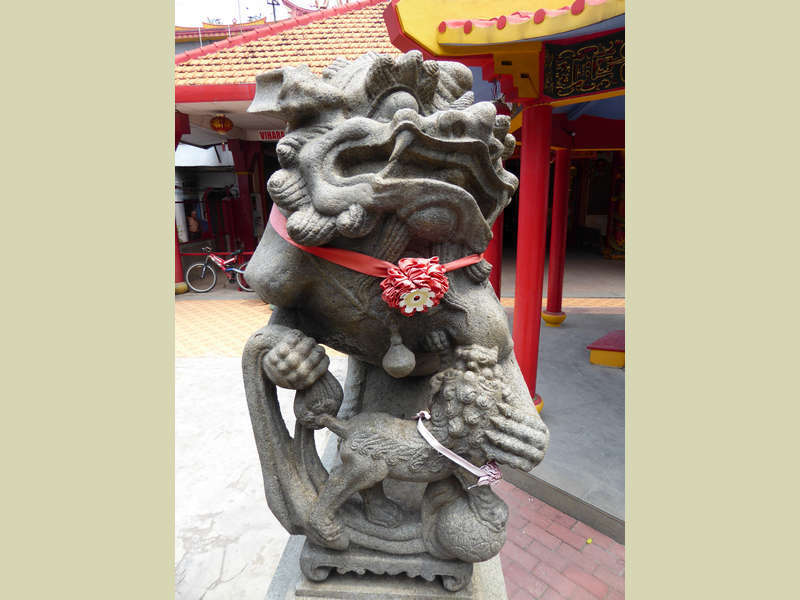 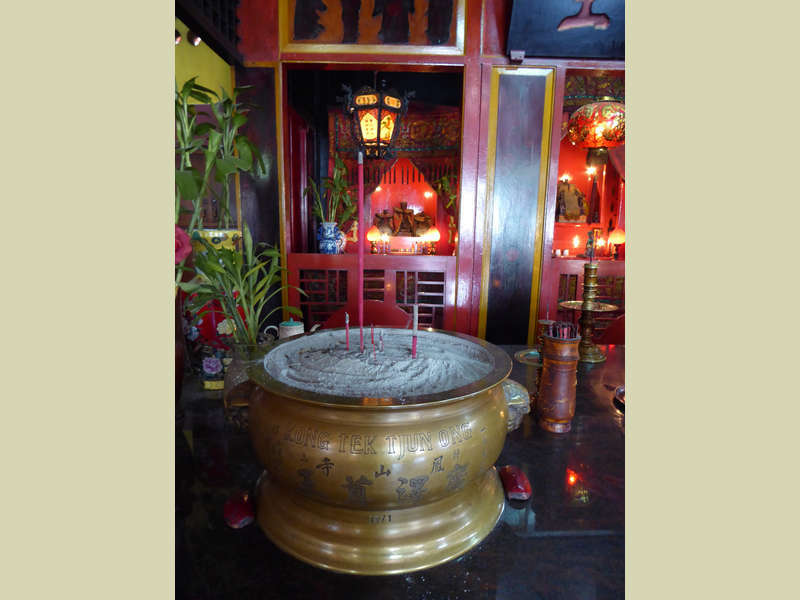 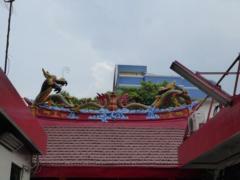 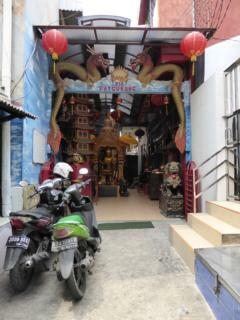 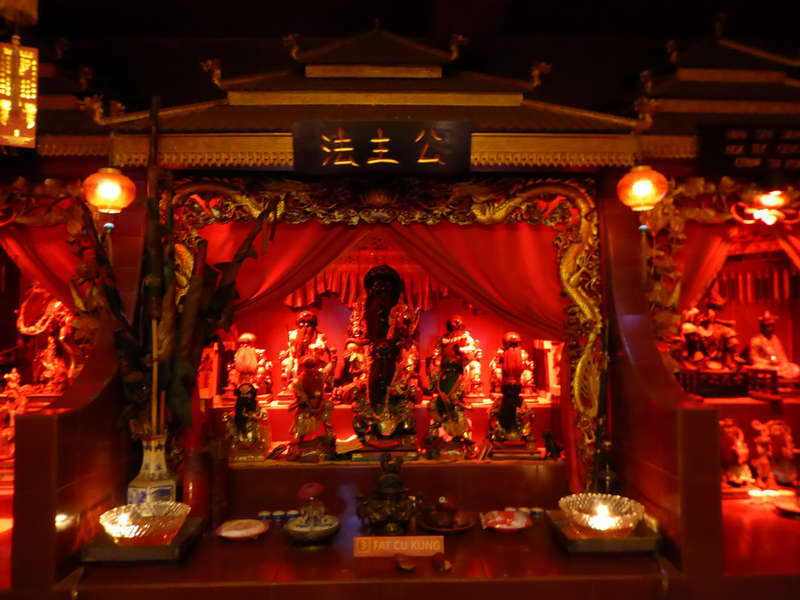 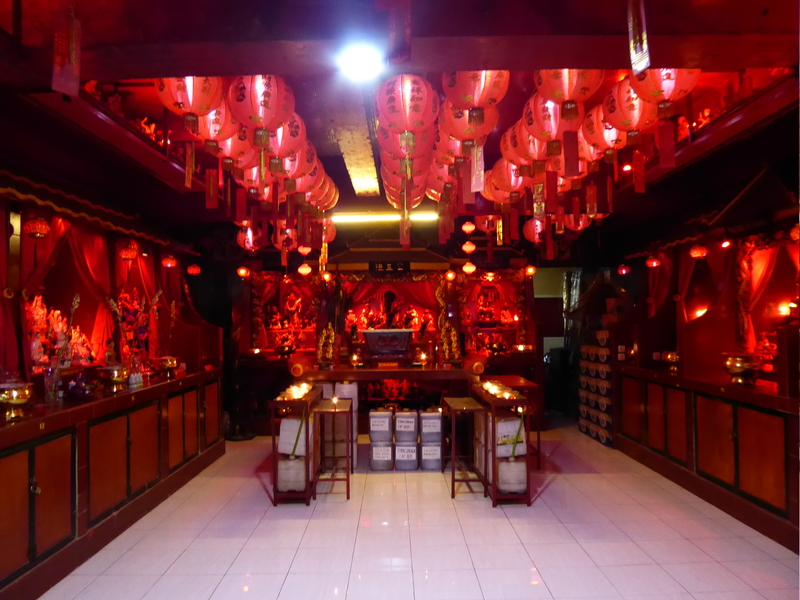 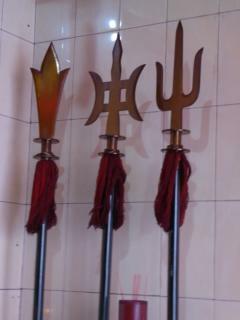 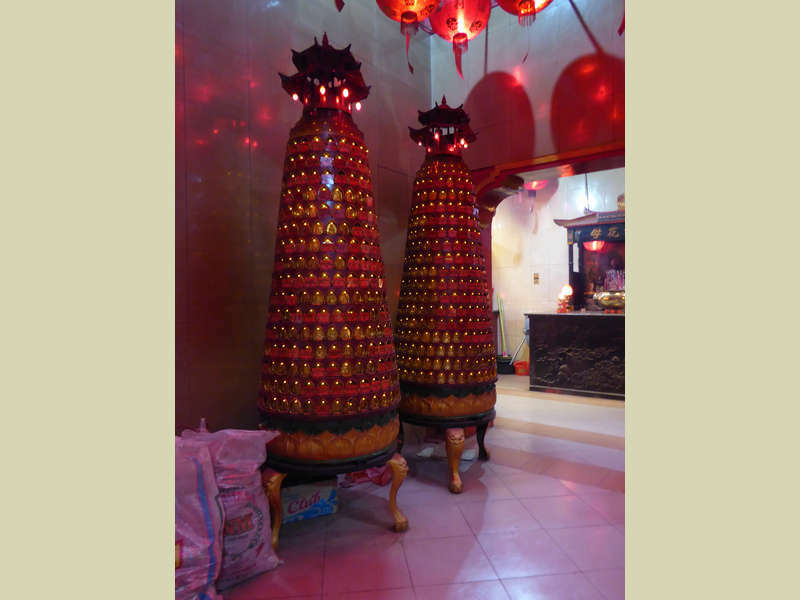 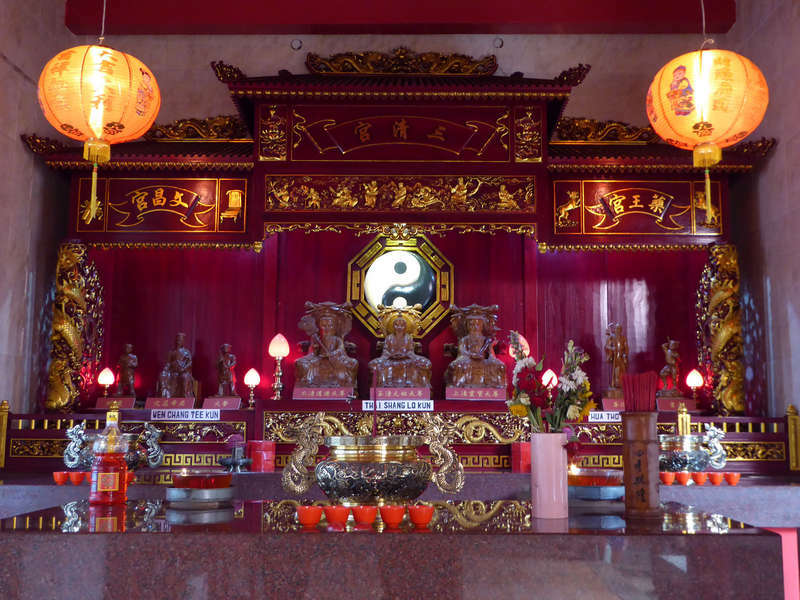 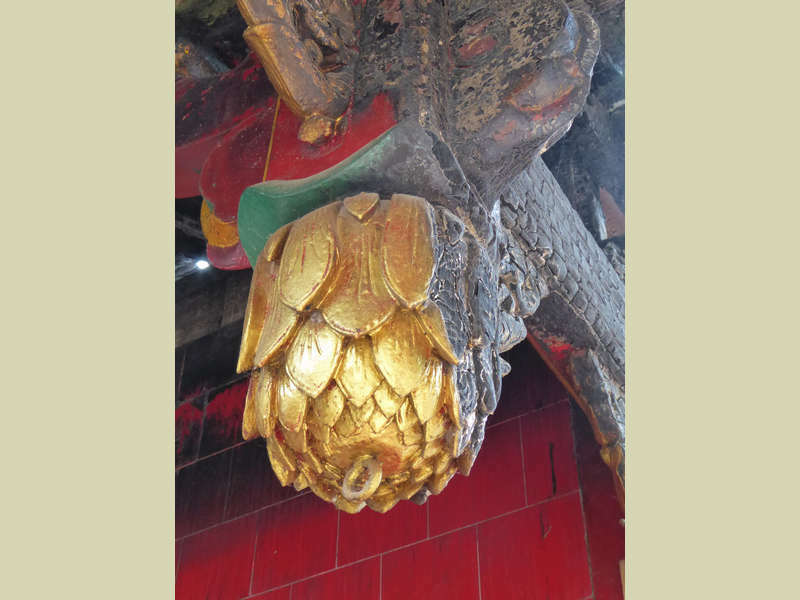 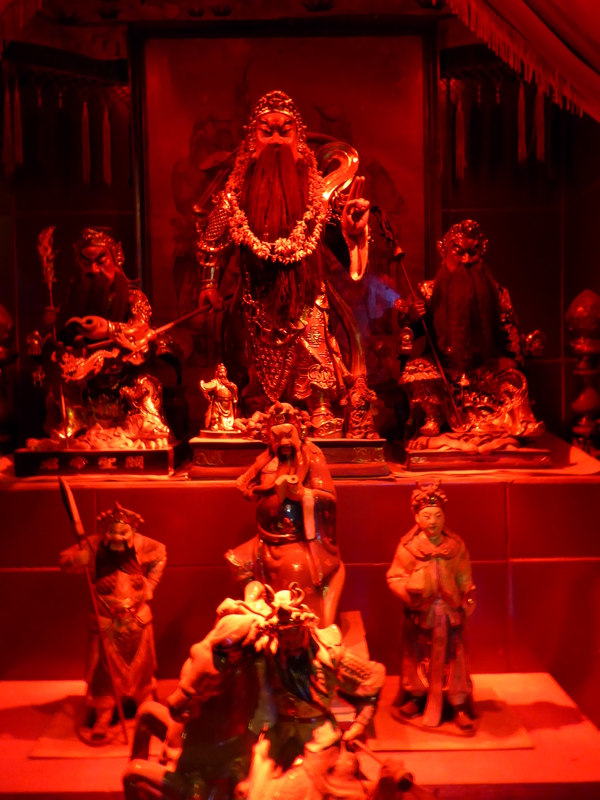 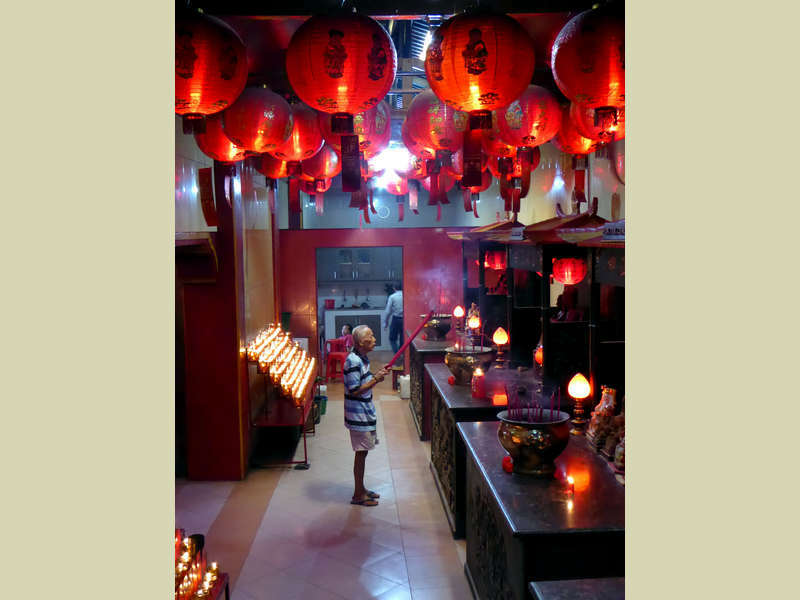 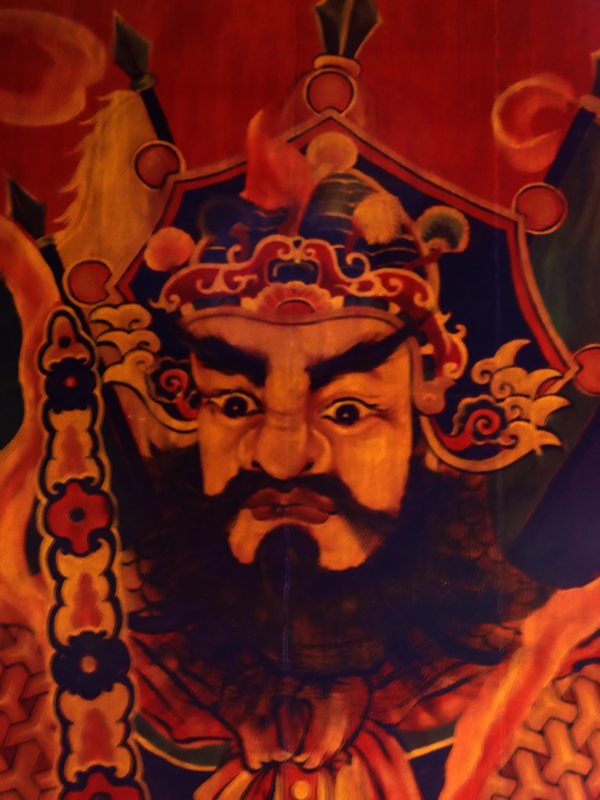 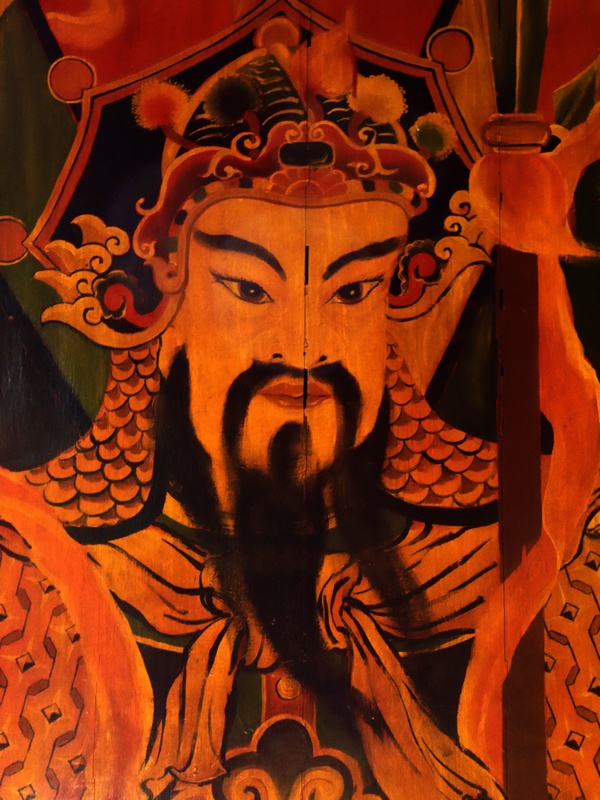 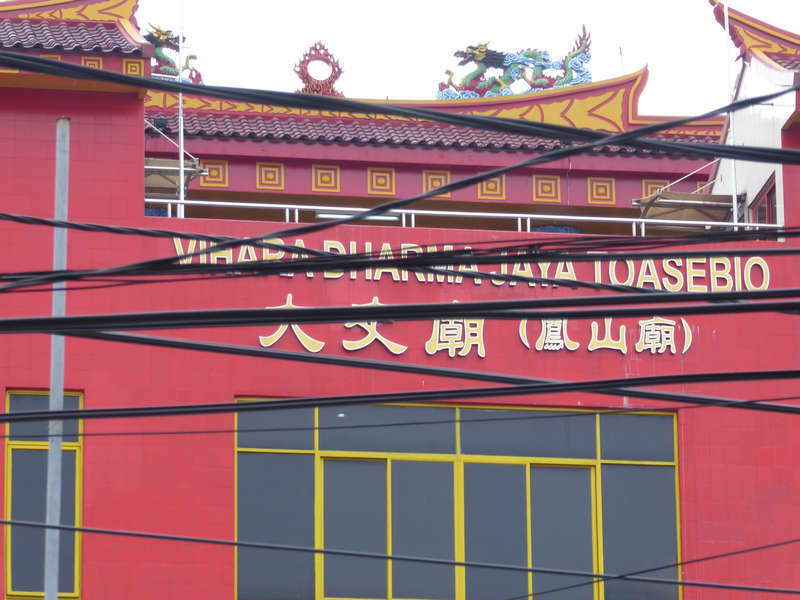 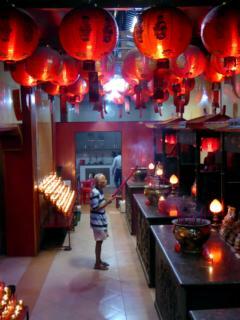 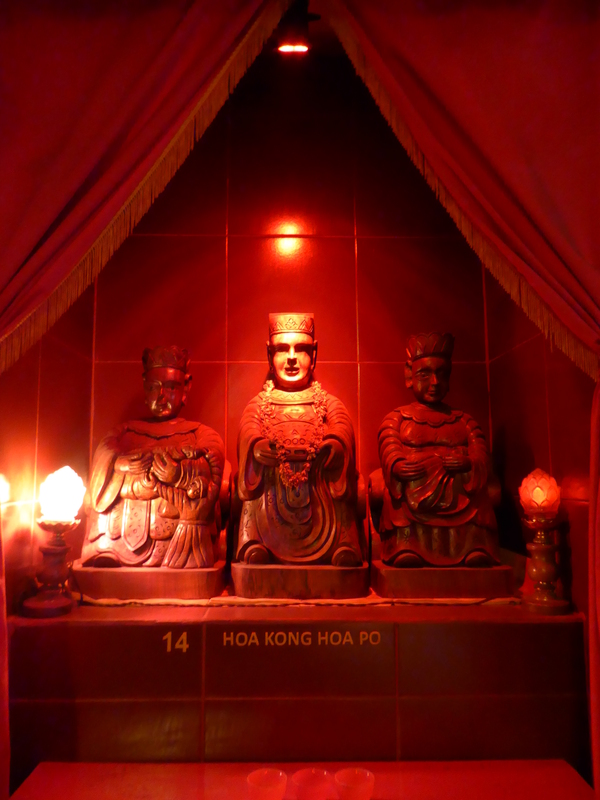 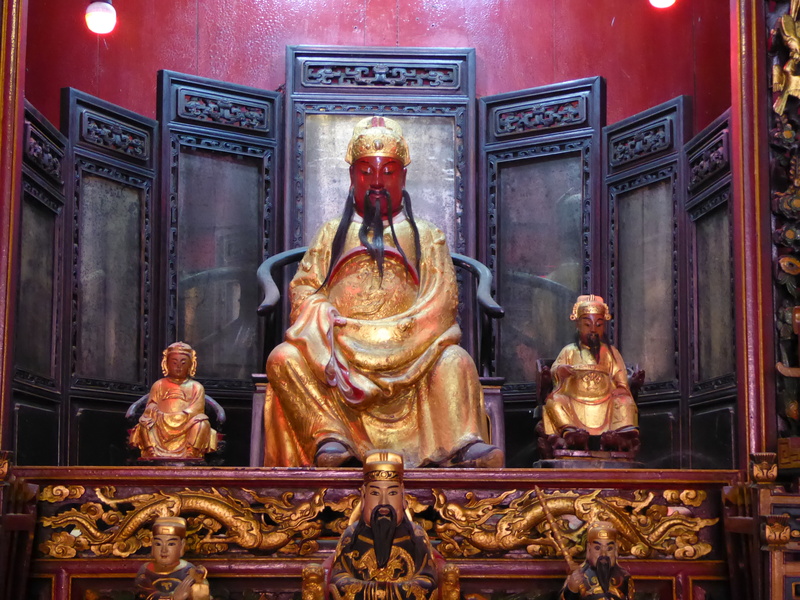 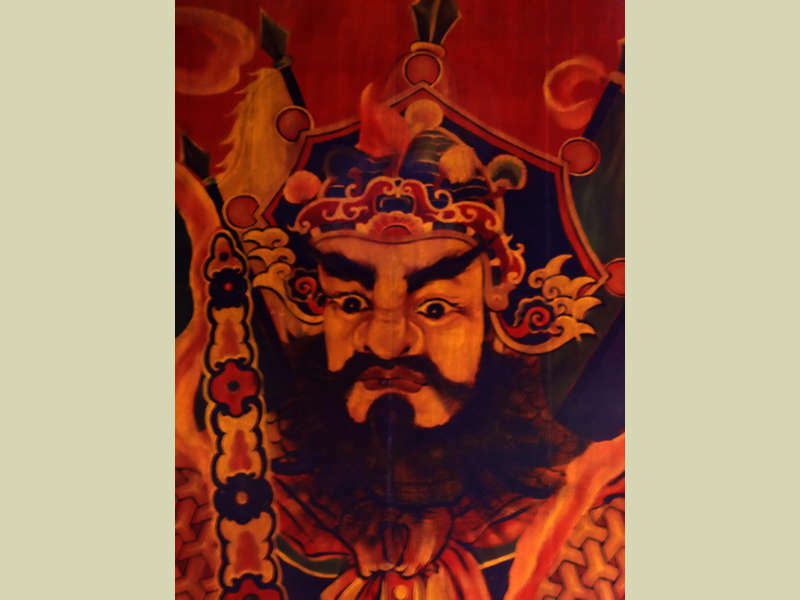 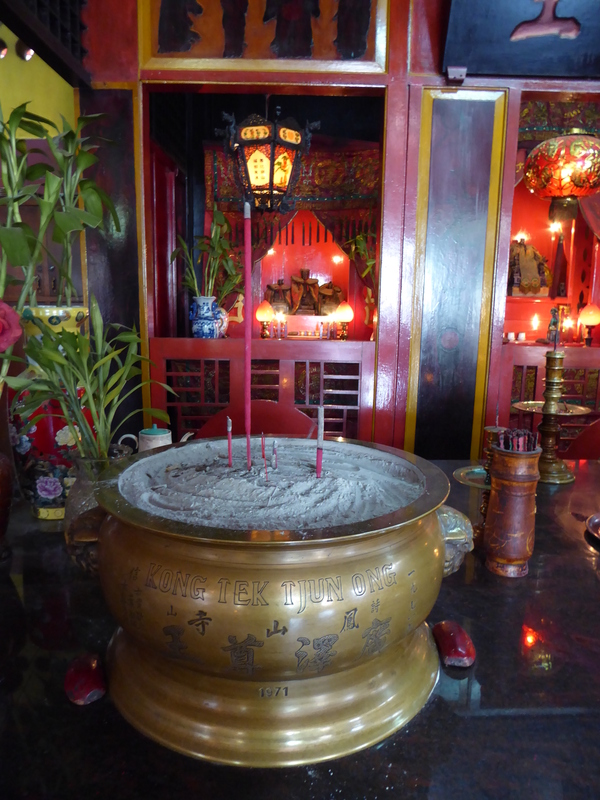 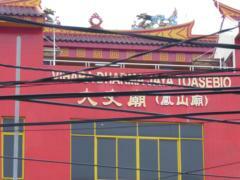 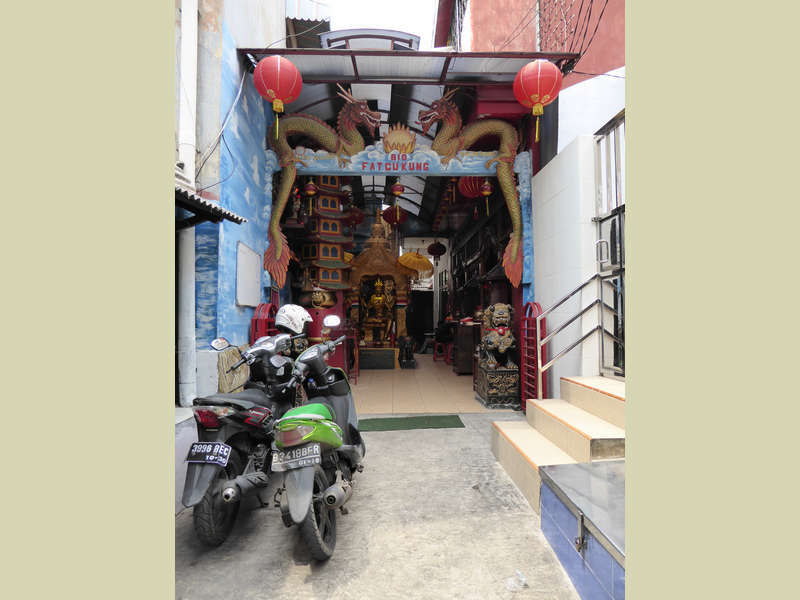 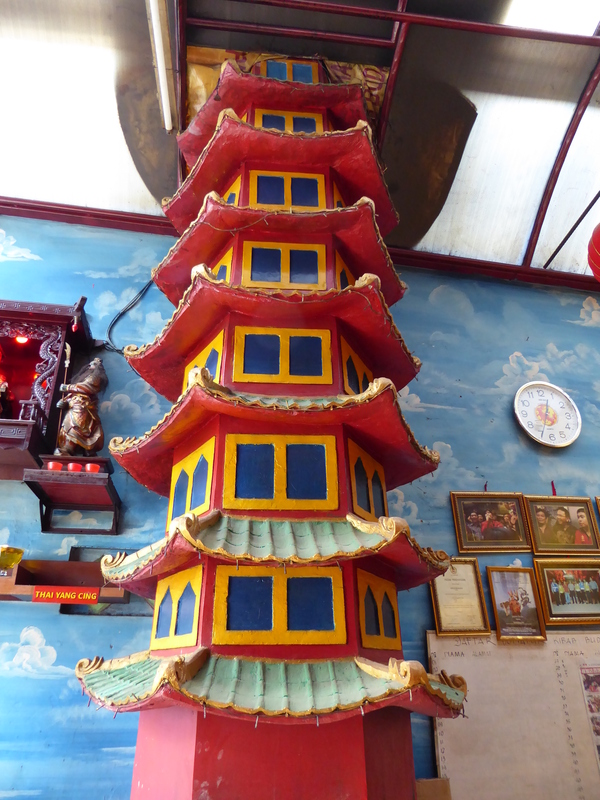 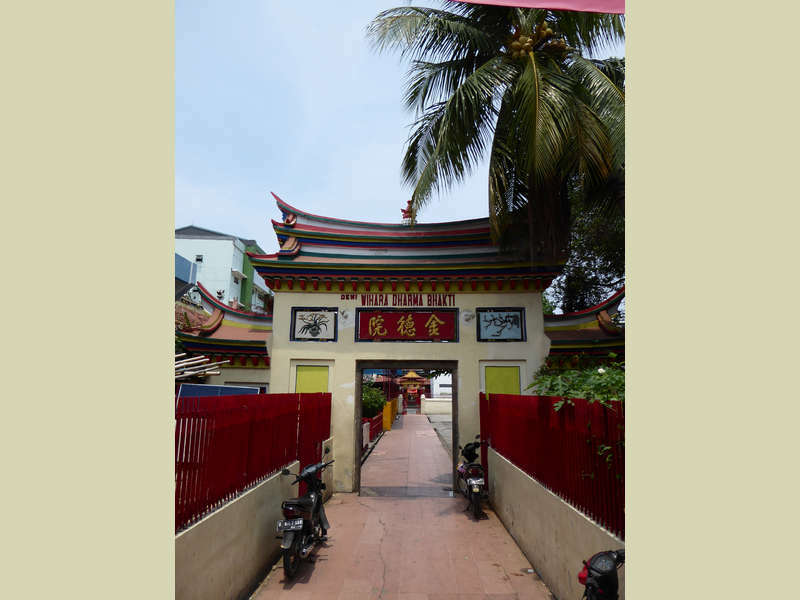 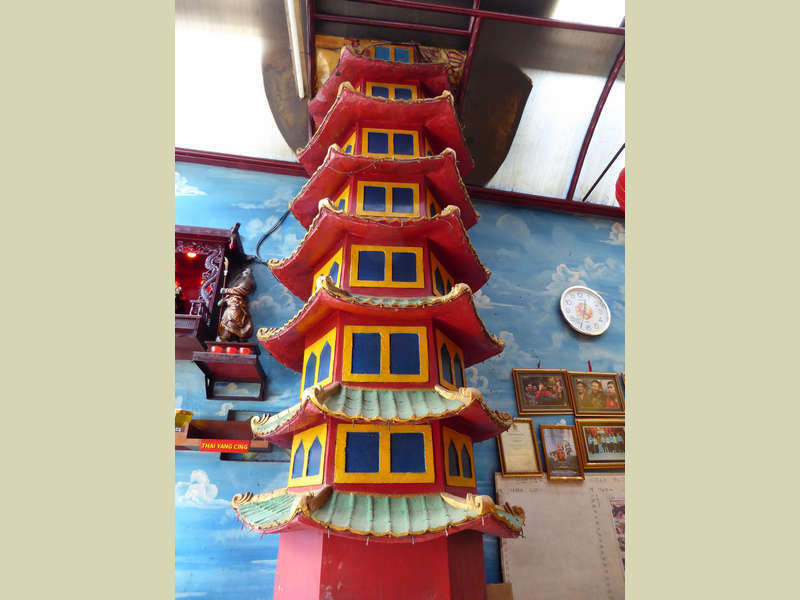 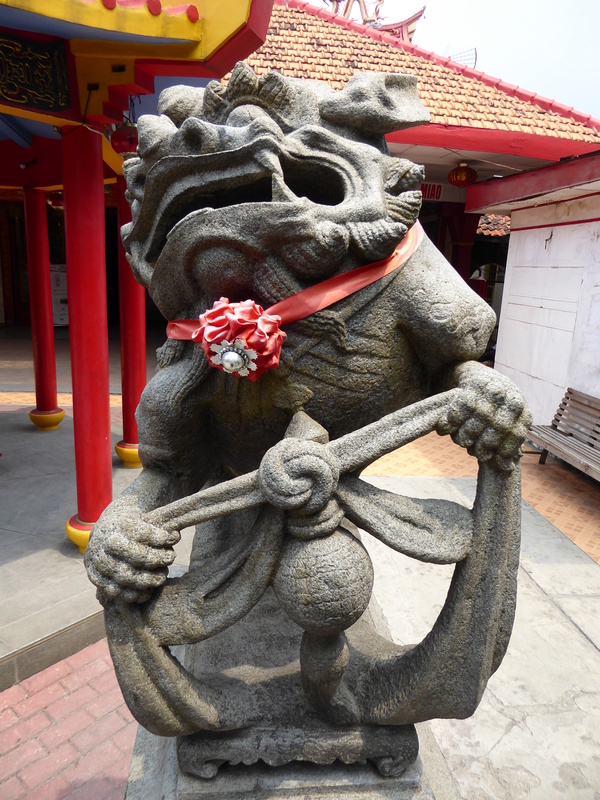 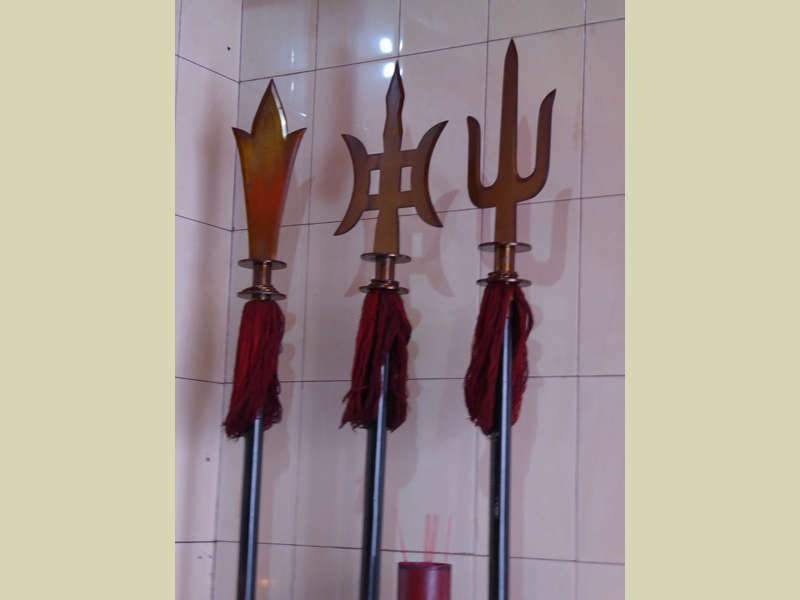 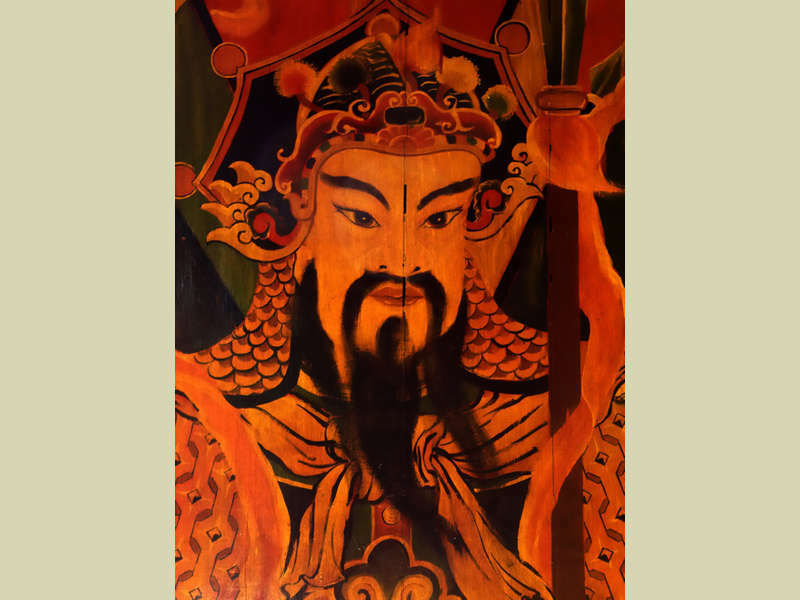 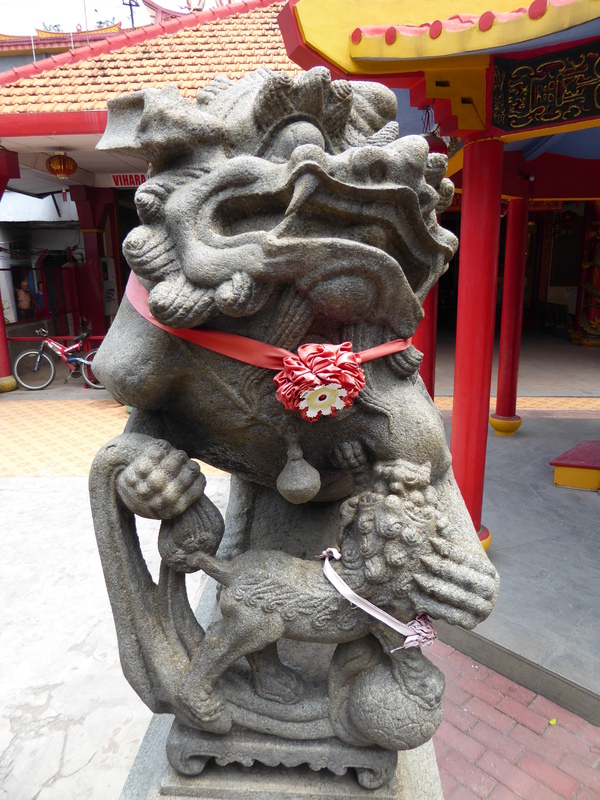 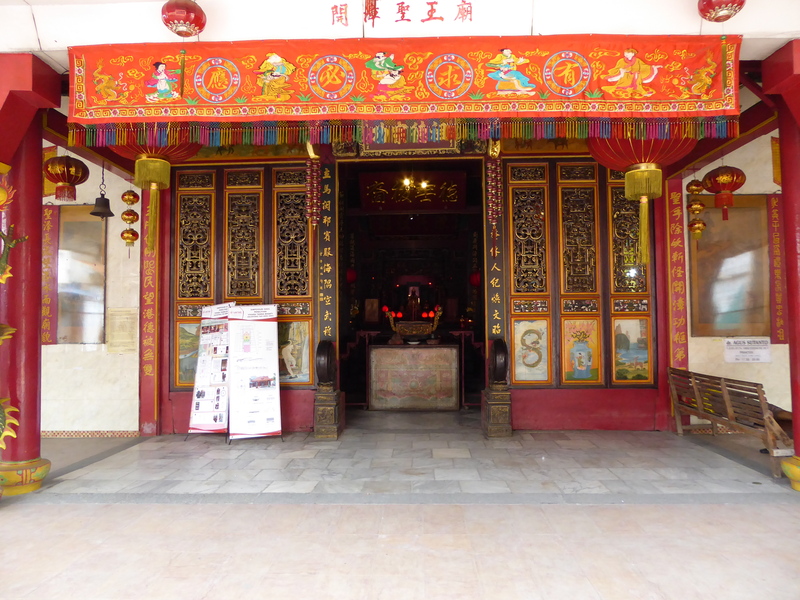 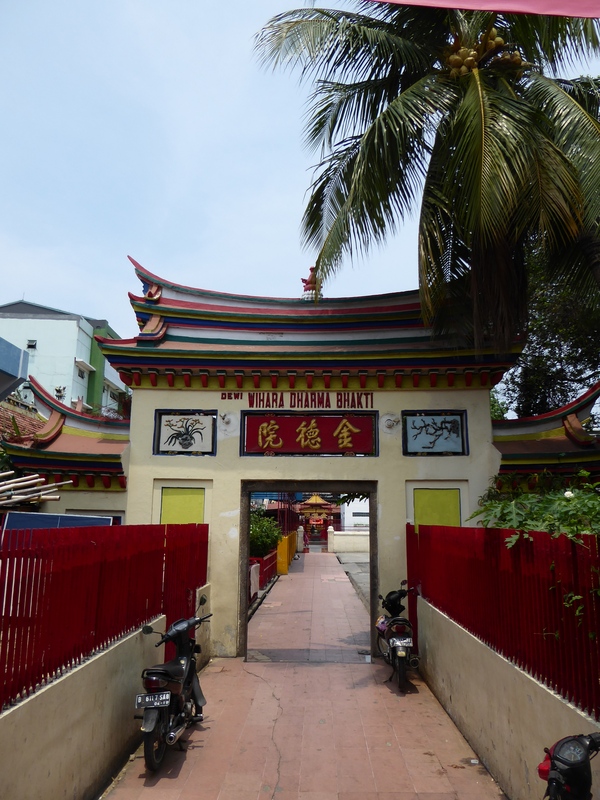 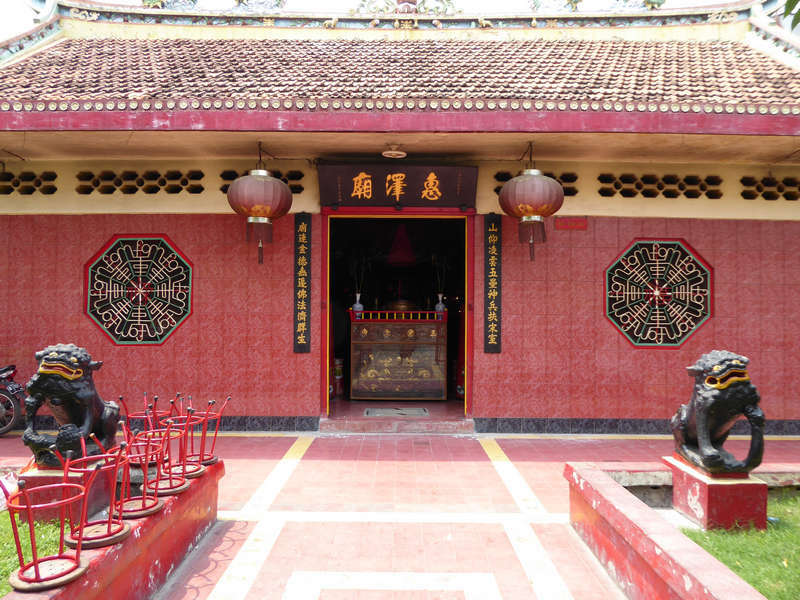 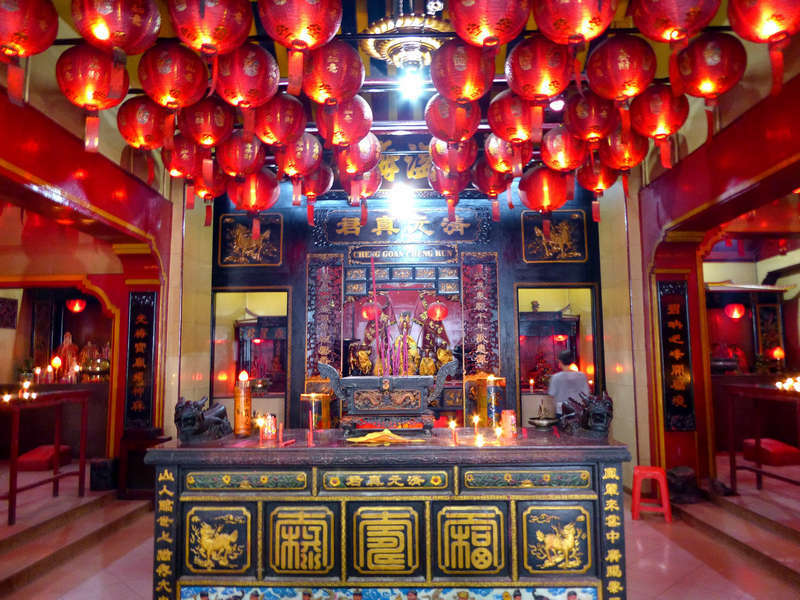 As Taosim and Confucianism are not recognised by the Indonesian state, most who follow these practices identify on the census as Buddhist, and indeed the Chinese temples appear to be a mix of the three religions, and sometimes identify as Tridharma. From what I saw at some of the temples in Jakarta and Karawong, they may also sometimes follow Thai Theravada tradition chanting schedules. 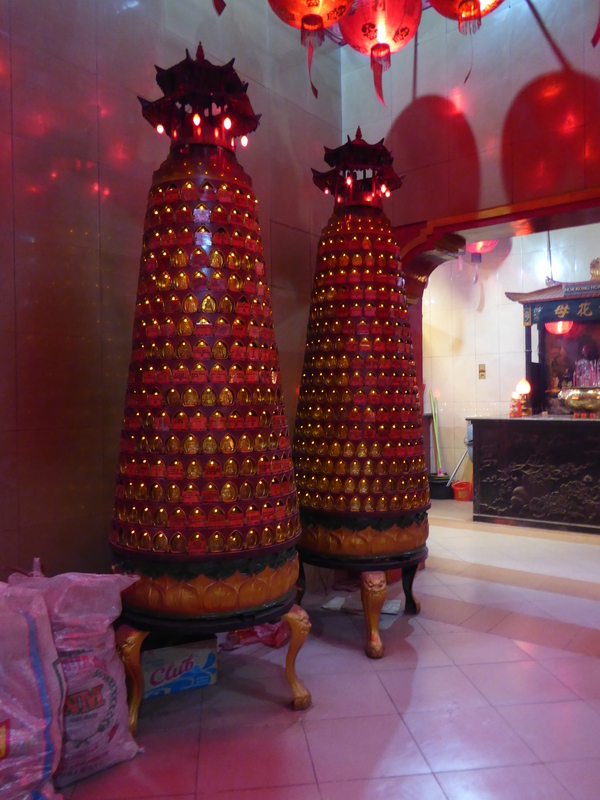 We visited a number of temples on a day trip including one that had recently burned down, and we also saw a Catholic Church, St. Maria de Fatima, that from the outside looked just like a traditional Chinese Temple, but I didn't get a good photograph of it, and we didn't go inside, so it is unrecorded here. 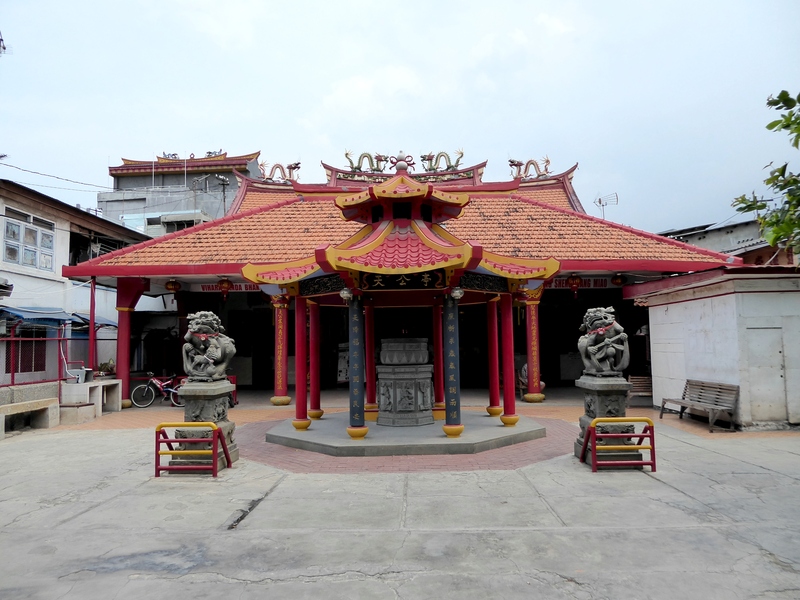 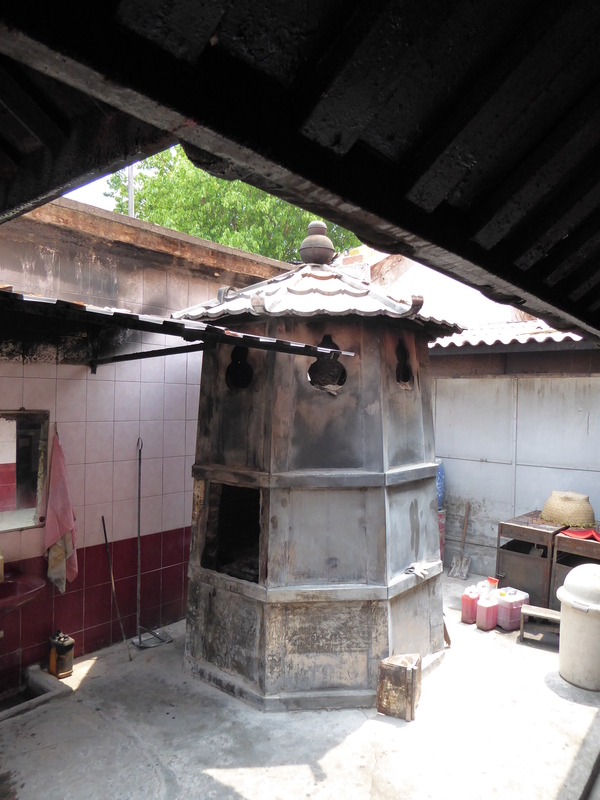 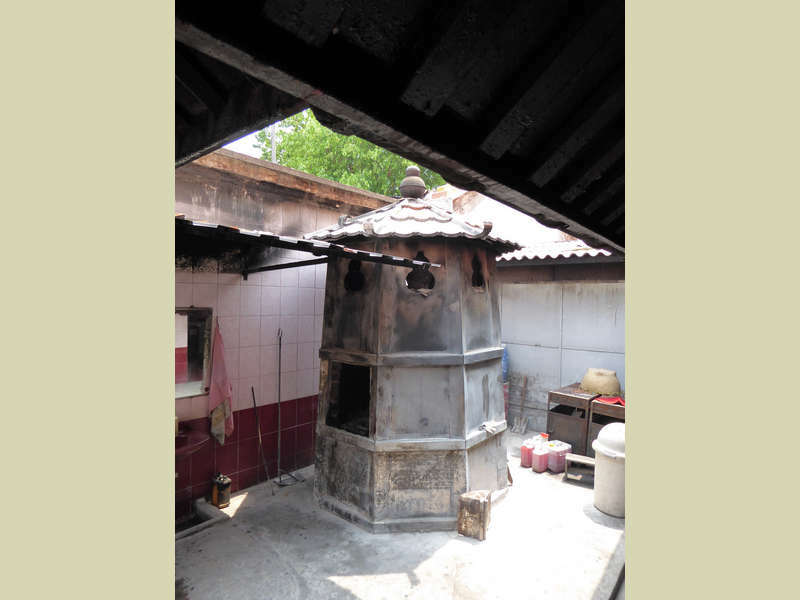 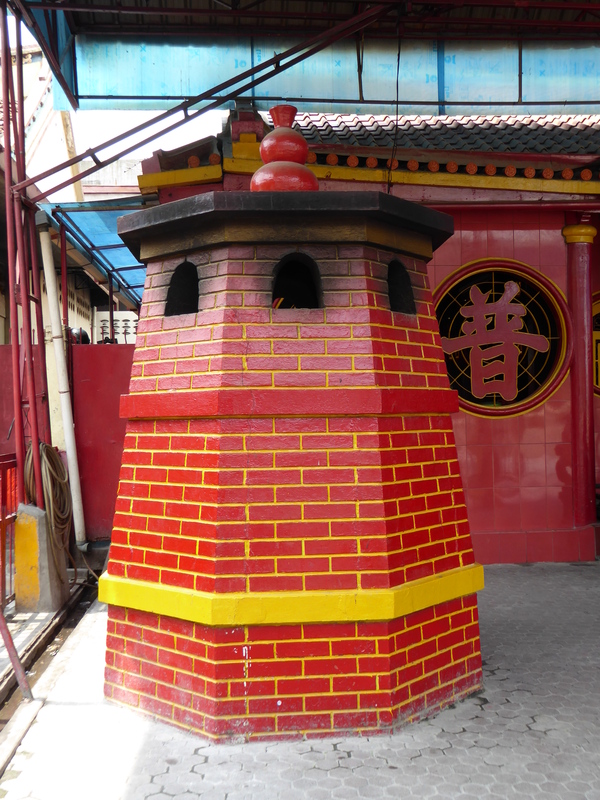 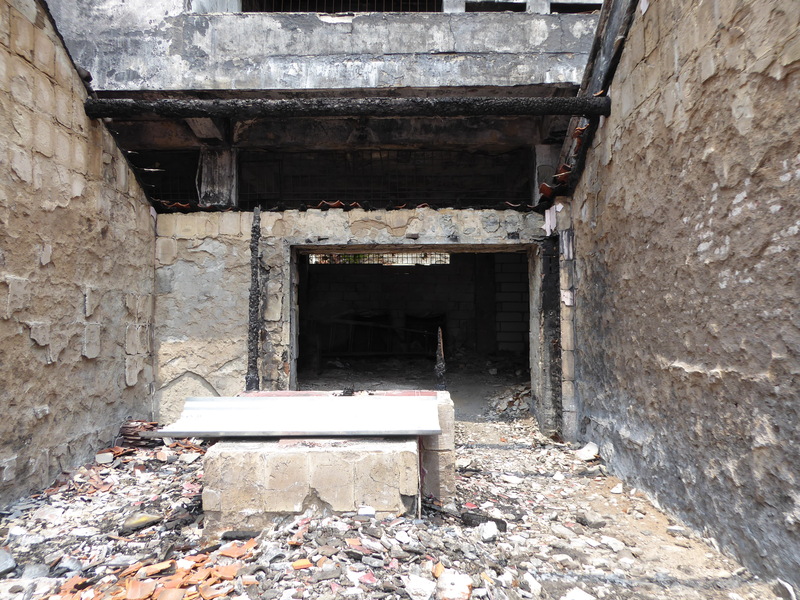 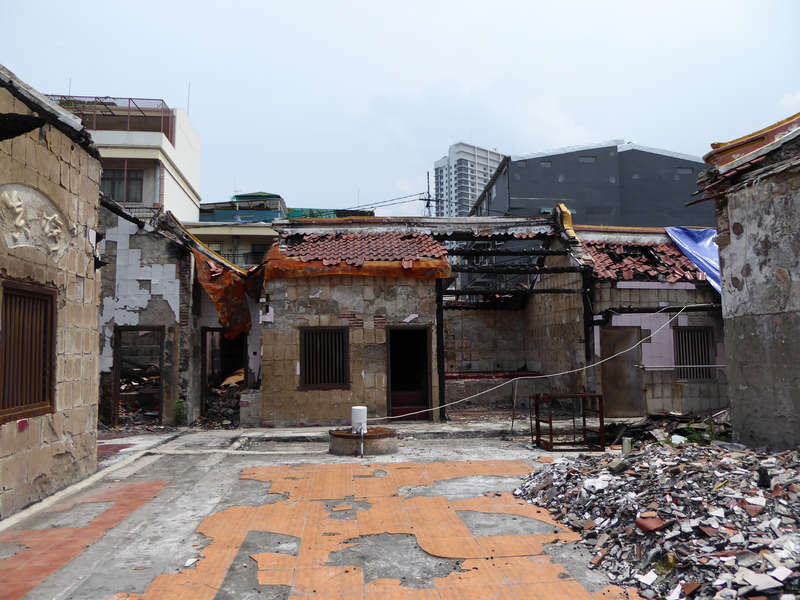 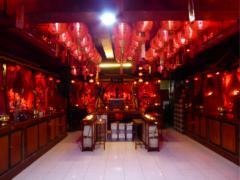 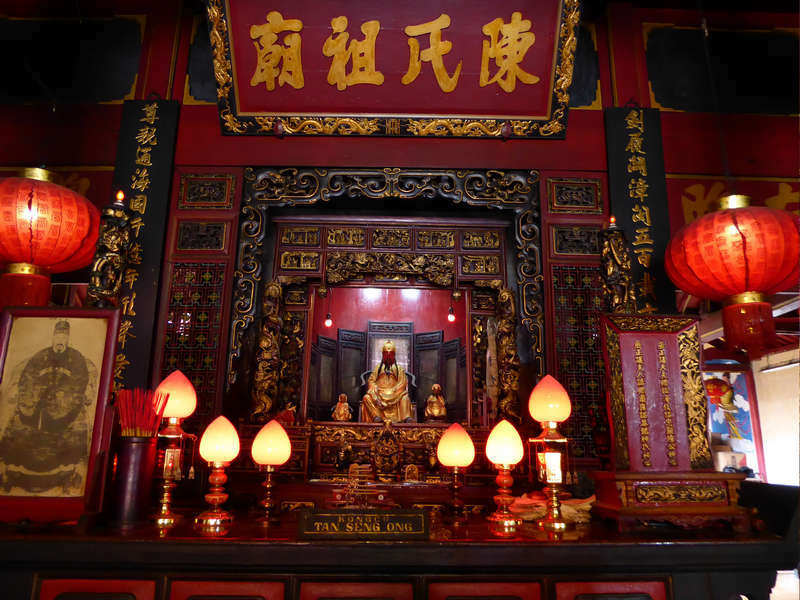 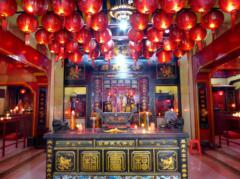 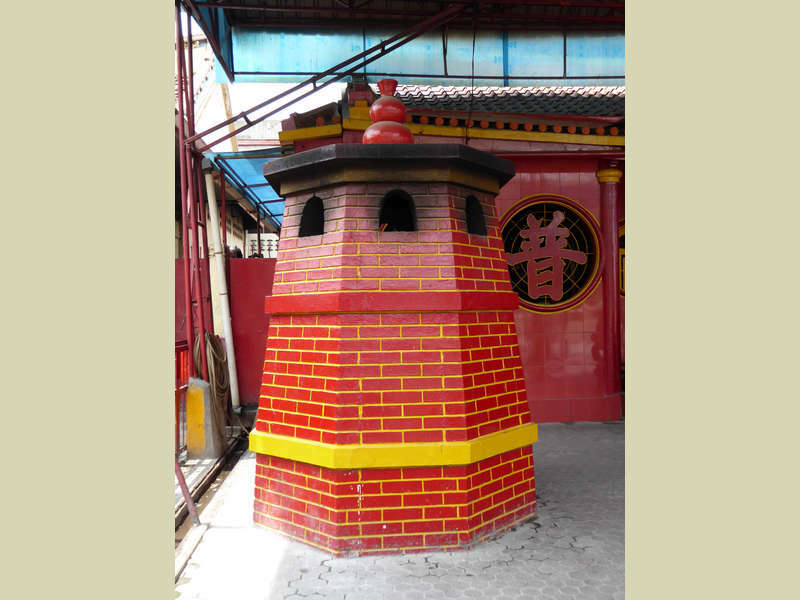 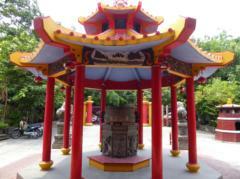 The temple that burnt down recently was the Kim Tek Le or Jin De Yuan Temple, which was originally built in 1650, and rebuilt in 1755. 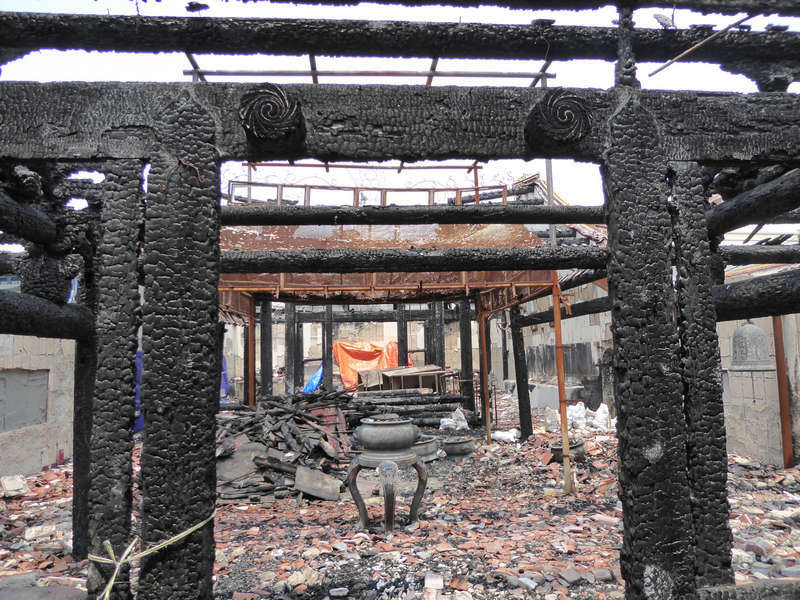 It appears that on the one hand the floor had been raised recently owing to flooding, and that meant the ceiling was much closer to the tall candles that were left burning that night. 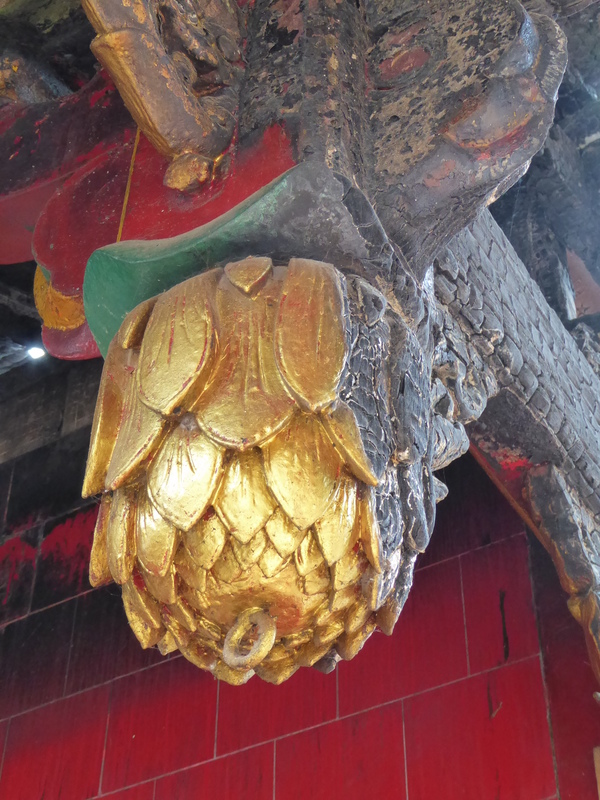 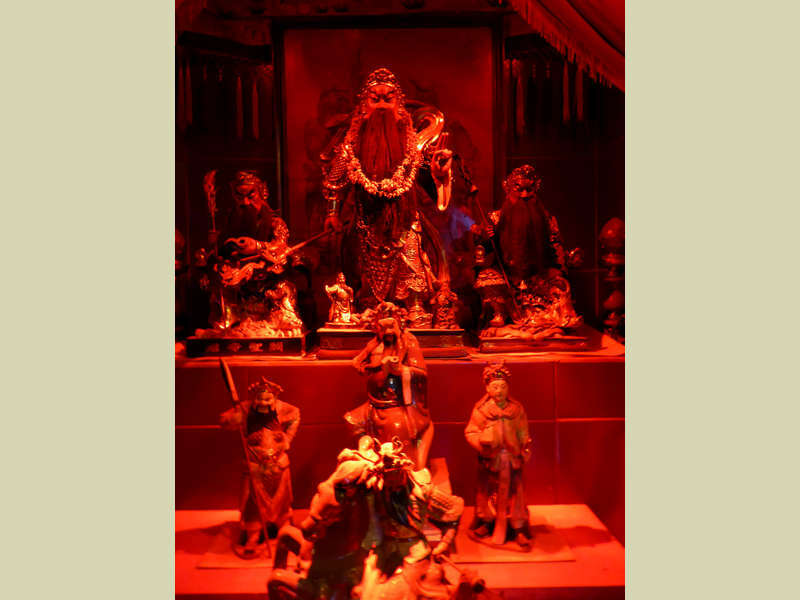 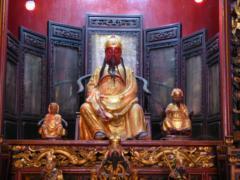 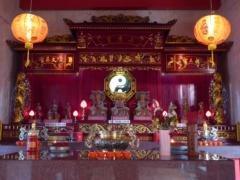 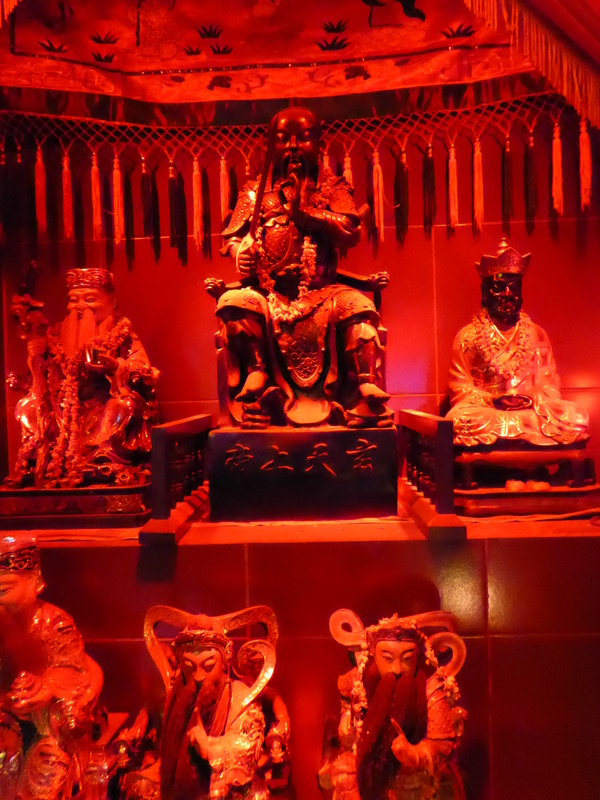 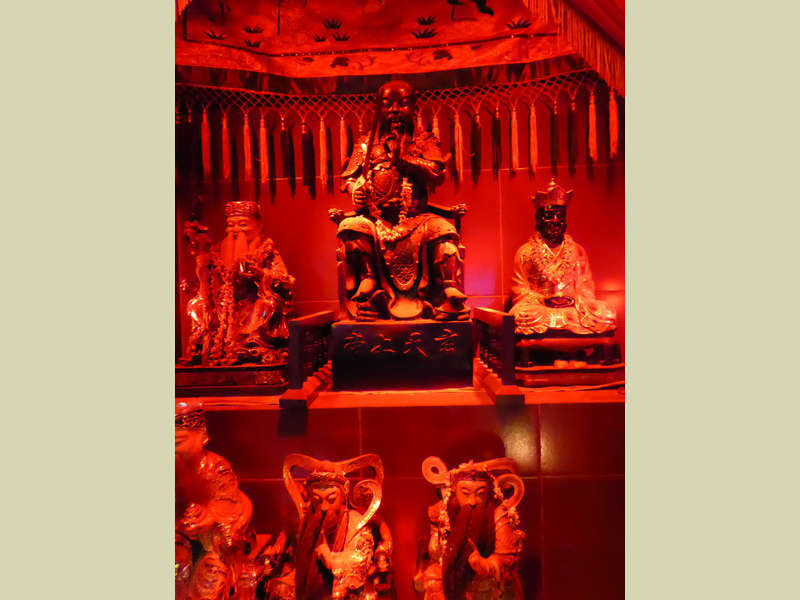 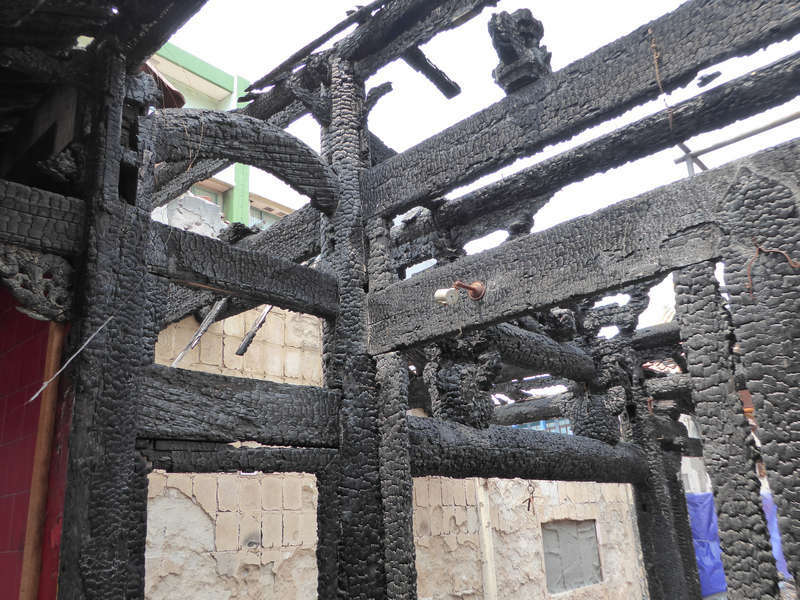 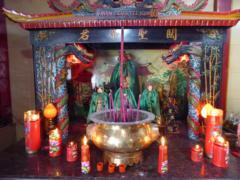 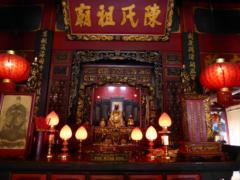 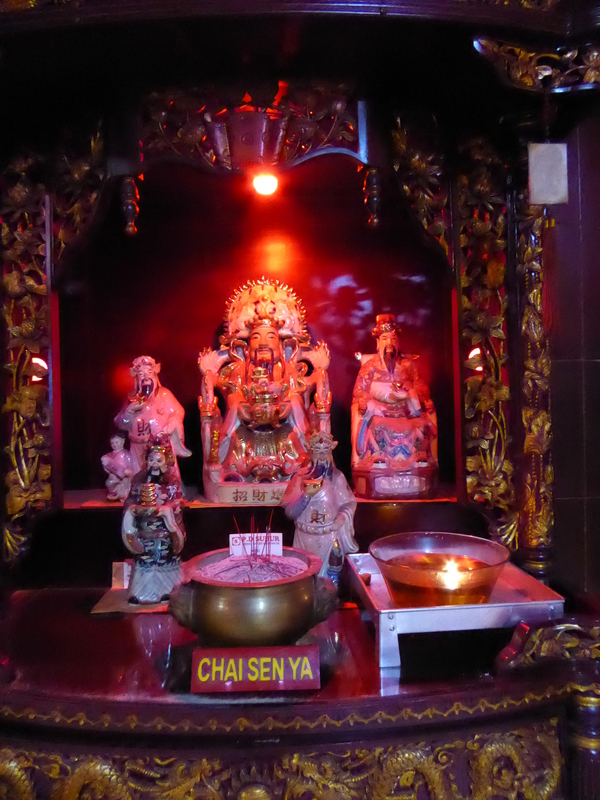 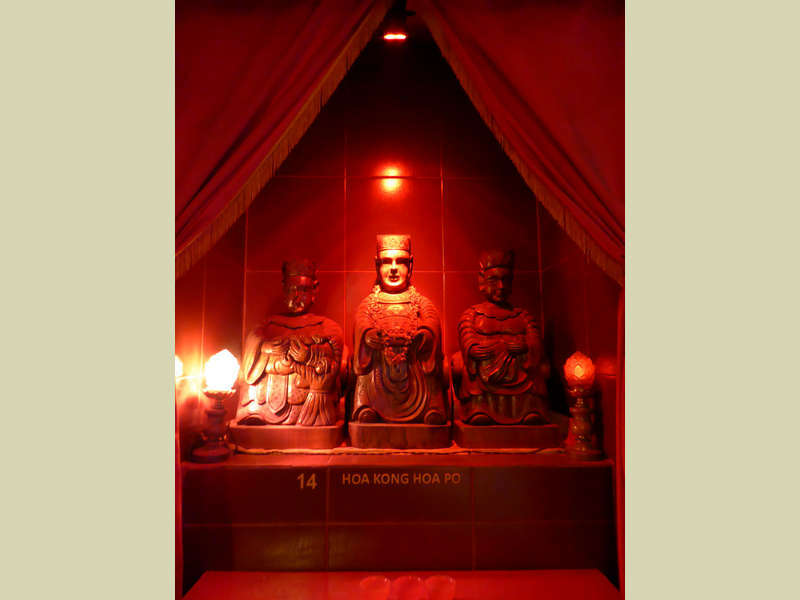 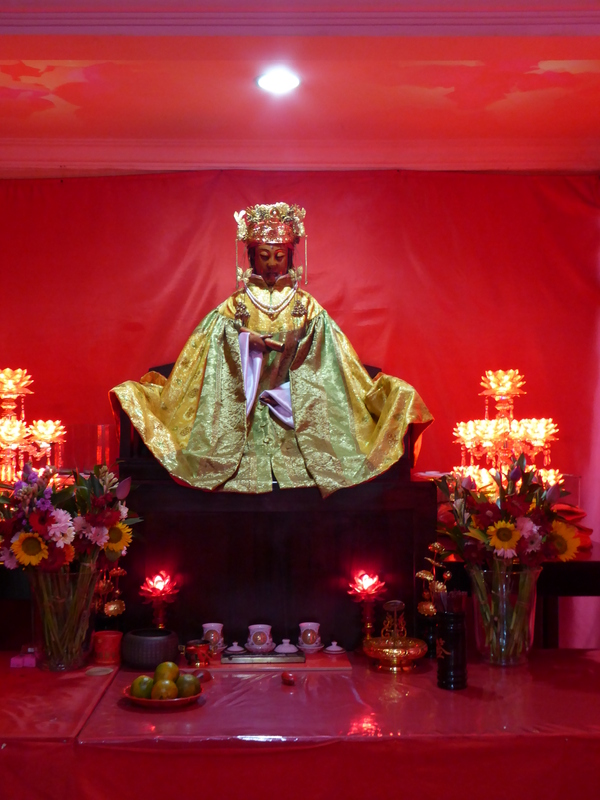 Somehow the Kuan Yin statue, pictured above, was saved from the fire. 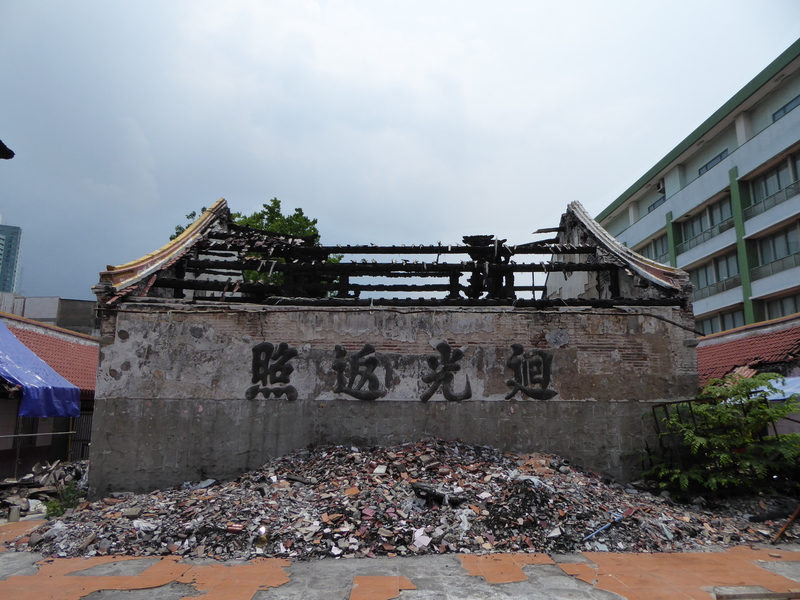 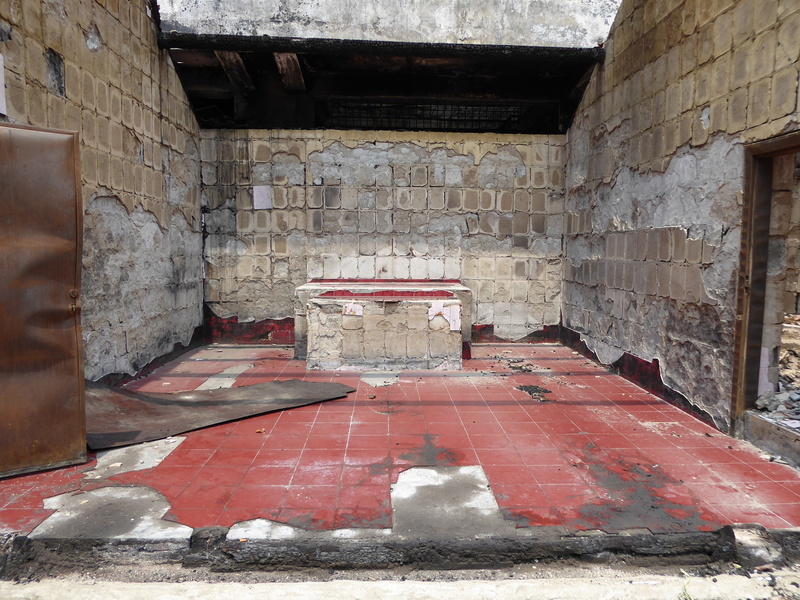 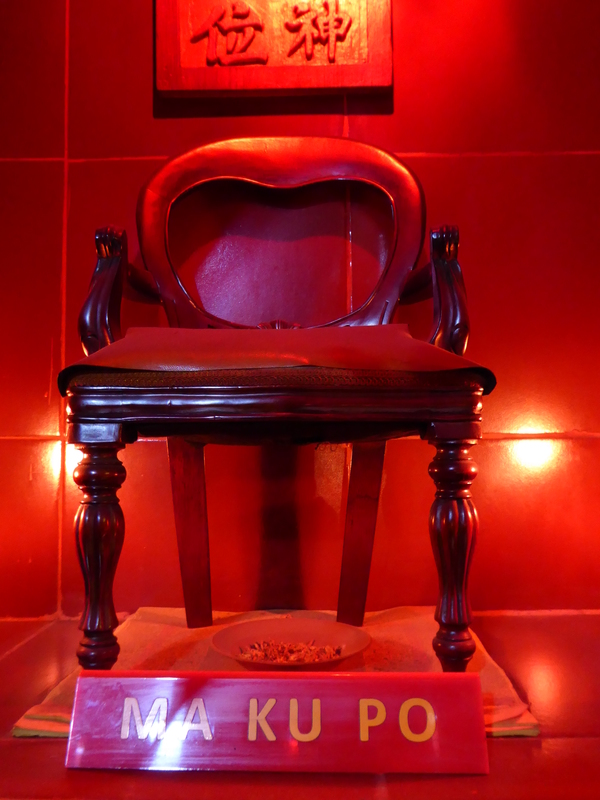 The first picture shows a reminder of impermanence that was written on the Temple wall.